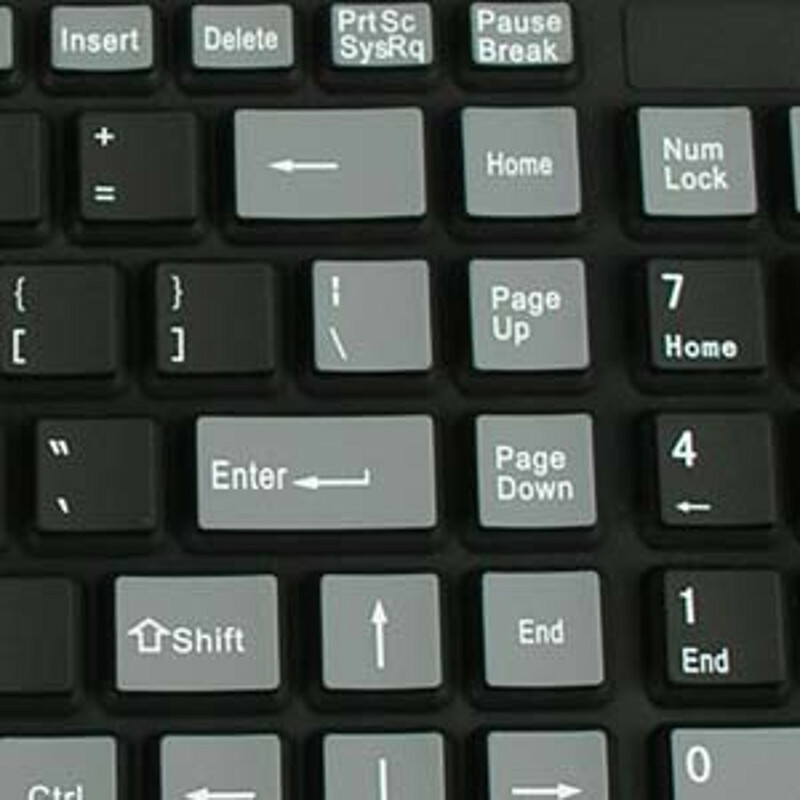 This virtually indestructible keyboard is ruggedized and can stand all kinds of abuse. It's made of a high quality silicone material which offers the perfect combination of practicality, durability, comfort and flexibility. 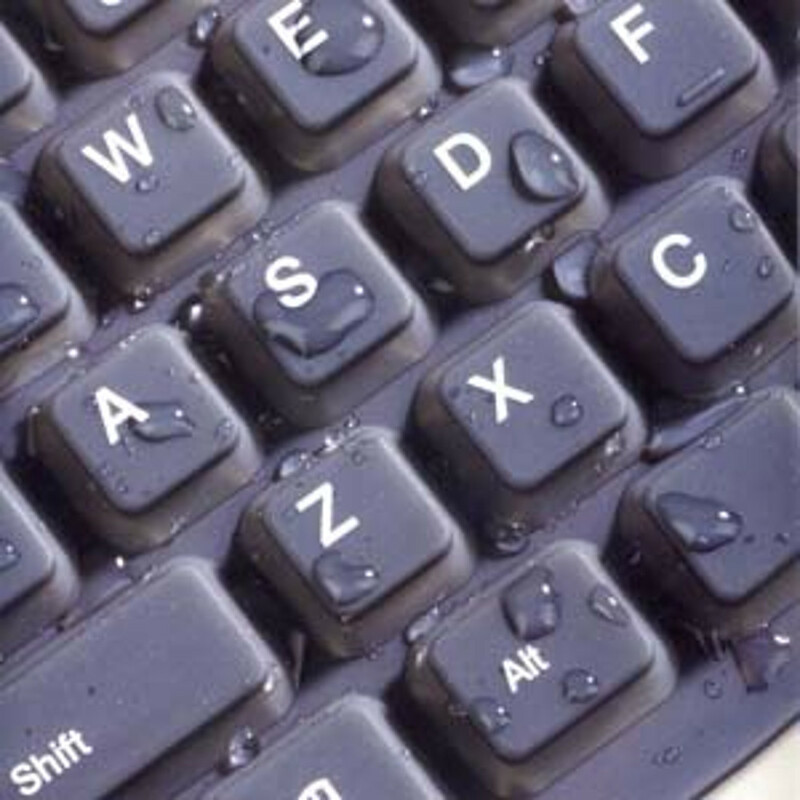 The unique material allows you not only to clean the keyboard with soap and water, but makes it resistant to any dirt, dust, sand and even coffee or tea spills! Simply wipe up the spilled liquid with a damp cloth and continue working. The keyboard is so flexible that you can roll it up and bring it anywhere. 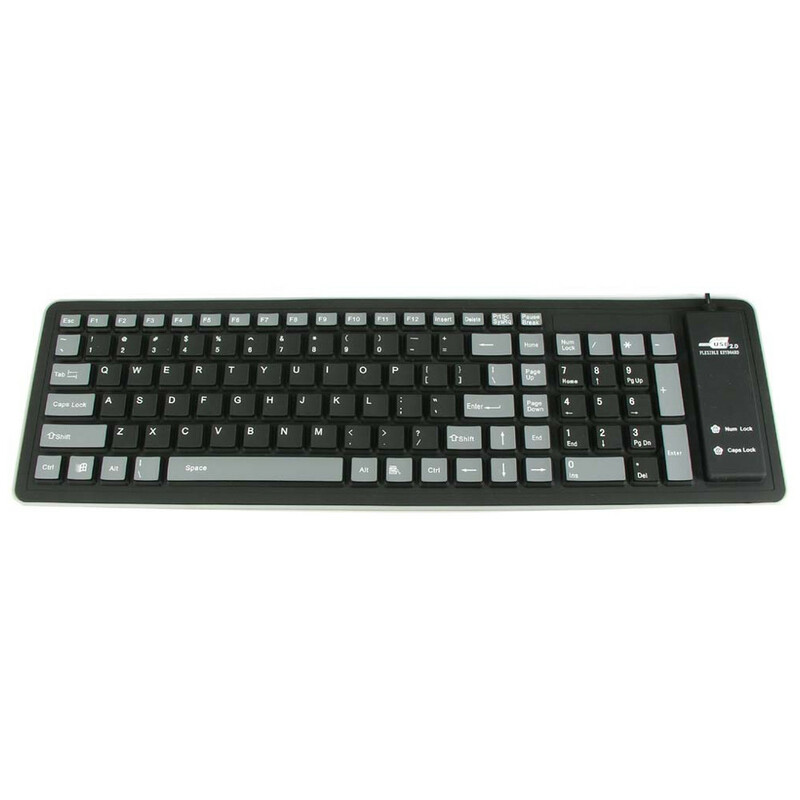 This lightweight, ultra-slim and compact keyboard is perfect for travel, school or any other work environment. It is also ideal for those with laptops who would like the benefit of a full-sized keyboard but have never had the luxury to carry one along. Even bring it to the "coffee shop" so you can relax and surf without fear of spillage!